Sowing tomatoes early will give you the best chance of bigger plants and a bumper crop. Our AG experts show you how to sow early tomatoes for the best results. 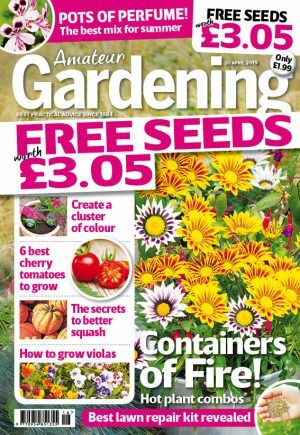 If you have a heated propagator or a space on a warm, bright windowsill, sow tomatoes seeds at the end of January or start of February. Step 1. 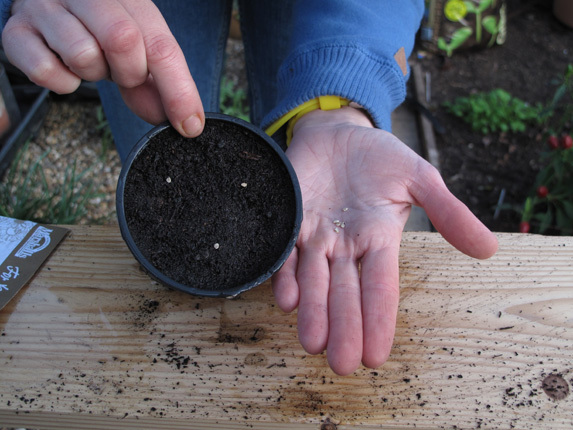 Fill a 3in (9cm) pot with good quality seed compost; break up any lumps and bumps first. Tap down to settle, and level to create an even sowing surface. Water and let drain. Pots are better than modular trays for tomatoes as they have more space for vigorous root growth. Step 2. Sow three seeds per pot, ensuring there is space between them so they do not touch each other as they grow. Step 3) Cover with a fine layer of sieved compost or vermiculite and water with a fine rose watering can. Finally don’t forget to place a label in your pot. 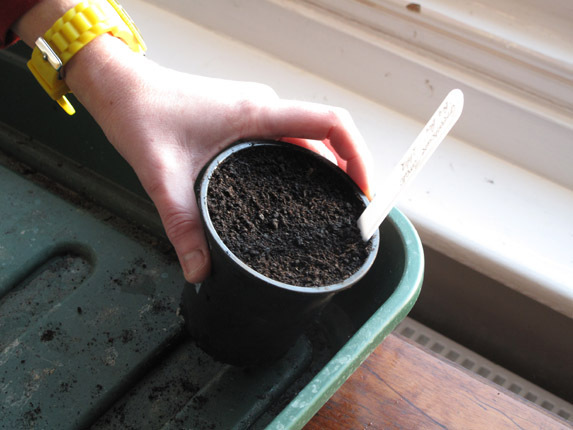 Step 4) Place in a heated propagator, or cover with a clear plastic bag, and place on a warm windowsill. Uncover when seedlings appear. Early sowings are best kept in the greenhouse but outdoor plants can be hardened off slowly for June planting. Mulch around outdoor plants to retain moisture and reduce weeds. Once flowers show, feed weekly with a seaweed feed or specific tomato feed. Once indoor cordons have set 6-8 trusses (outdoor 4 trusses), pinch out the growing point at the top. Remove yellowing leaves when seen. Water plants regularly and evenly. Our expert – giving it a go..
From germination until the plants reached the lighting unit, my plants were started off in an Aerogarden indoor growing system – if you don’t have room or budget for a heated greenhouse set up, it’s an ideal way to start plants off early in the season. The variety grown is ‘Costoluto Fiorentino’ (Franchi Seeds). As with all beefsteak varieties, the longer the growing season the better the crop will be. The plants are now sitting happily in what I can’t quite call a conservatory, but it is glazed and attached to the house none the less. As soon as temperatures pick up they’ll go out to the greenhouse to receive better light levels.